When visiting the UAE, remember that there’s so much more to see than Dubai. The country’s capital, Abu Dhabi, is full of incredible attractions that will impress all visitors. With everything from cultural experiences to great shopping malls, Abu Dhabi is the perfect city for travellers, giving them a chance to better understand the UAE, all while having a blast. 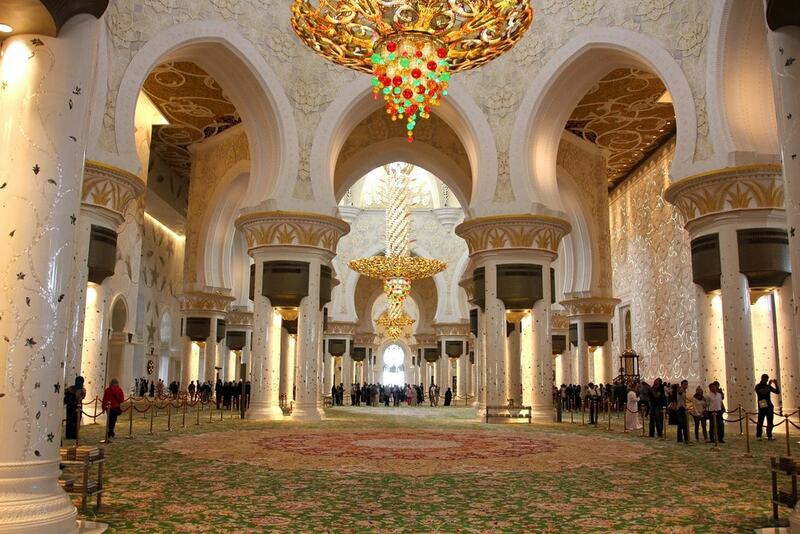 This is undoubtedly the most beautiful mosque in the UAE. The Sheikh Zayed Grand Mosque is open to visitors and gives them the chance to become better acquainted with Islam, as well as taking in this architectural wonder. Every inch of the structure is a breathtaking sight. The mosque’s walls are made of pure marble and decorated with colourful stones, as are the floors. Abu Dhabi is populated by several islands just off its coast and perhaps the most impressive one of them all is Sir Bani Yas Island. On this island, travellers can choose to stay at its luxurious resort, the Anantara Sir Bani Yas Island Resort, and can engage in several exciting activities, ranging from archery to horseback riding. The most popular of them all is the safari through the Arabian Wildlife Park, where thousands of animals run free, dazzling tourists. 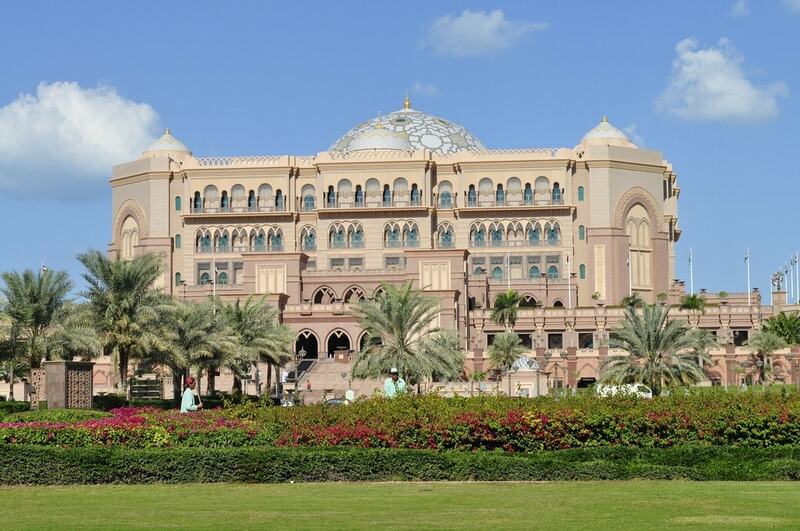 Known for being one of the most luxurious hotels in the world, if not the most of them all, the Emirates Palace is a must-visit for anyone who finds themselves in Abu Dhabi. This hotel was the third most expensive to build in the world, having cost approximately US$3 billion for its construction. Visitors can enter the hotel by making a reservation at one of its restaurants, where they can enjoy luxury dining and even a golden cappuccino with real gold flakes. For those looking to better understand Emirati culture and get a glimpse into what life was traditionally like in the UAE in the past, the Heritage Village in Abu Dhabi is the perfect spot. With an open museum, which displays anything from a goats’ hair tent to a campfire with pots, visitors can truly immerse themselves in the local culture. The Heritage Village even holds workshops with men and women demonstrating skills such as pottery and spinning. 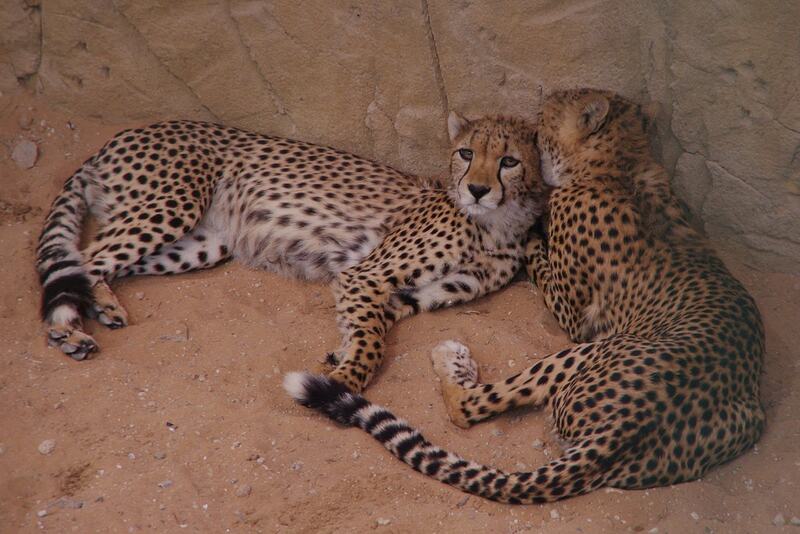 All animals lovers simply must head to the Emirates Park Zoo. Founded in 2008, this venue is the first private zoo in the UAE and allows visitors of all ages to see magnificent animals and get in touch with fauna. The zoo educates children about animals and even has its own petting zoo, as well as several species of animals such as snakes, flamingos, giraffes and more. One of the most important aspects of travelling is taking souvenirs back home for family and friends. One of the best places in town to shop for souvenirs definitely has to be the Souk Central Market. Mimicking a traditional Arabian Market, with wooden walls and ceiling, this venue has several traditional shops selling everything from fabric to spices. Travellers should definitely stop here for some souvenir shopping before returning home. One of Abu Dhabi’s most thrilling attractions is Ferrari World. The theme park is inspired by the world-famous Italian car brand and is an ideal place to visit with the family. With everything from kid’s rides to car expositions, there’s something for everyone. However, this park is best known for being home to the fastest rollercoaster in the world, Formula Rossa, which reaches a speed of 240 km/hr in only five seconds. Shopping is a big activity in the UAE, therefore, Abu Dhabi is home to amazing shopping malls, one of them being the Yas Mall. The mall, located on Yas Island, is home to 2.5 million square feet of retail spots. 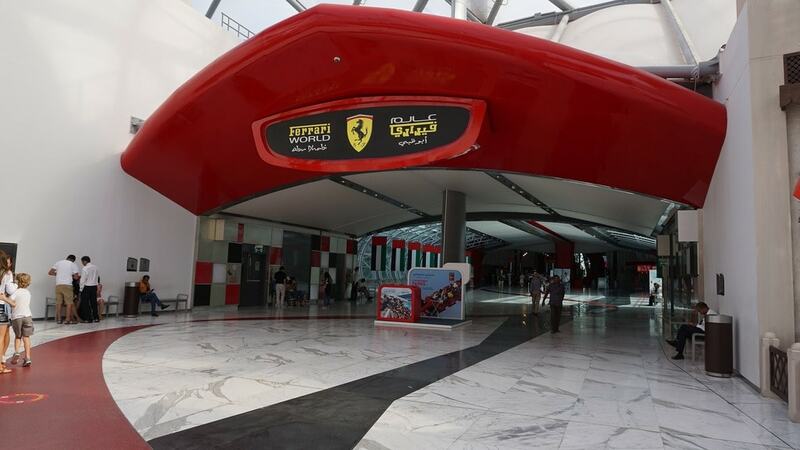 With several restaurants, stores and a cinema, the mall is perfect for the whole family – and the best part is that it is connected to Ferrari World, allowing people to grab lunch and shop after a trip to the park. Got a need for speed? The Yas Marina Circuit is a dream spot for anyone who loves racing. 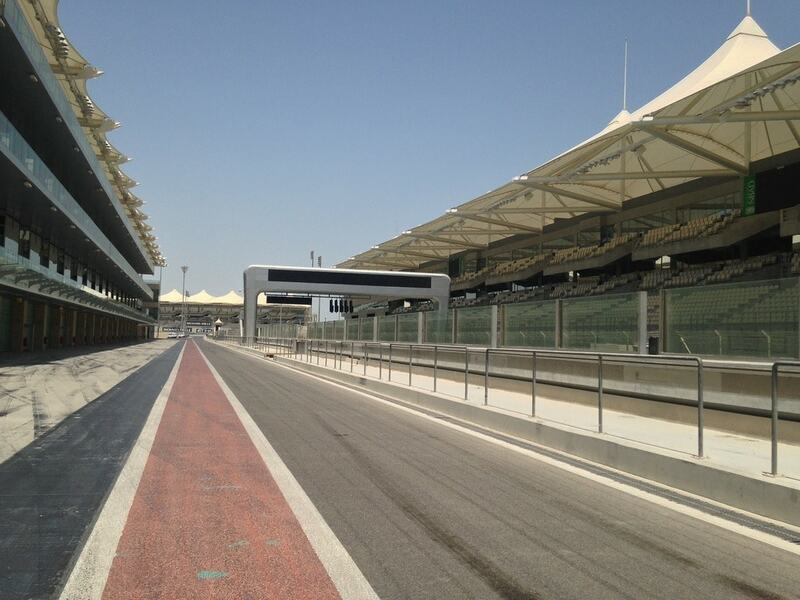 Home to the Abu Dhabi Grand Prix venue, the Yas Marina Circuit is known worldwide by Formula 1 fans. Here, visitors can get a glimpse of cars racing and even rent a car themselves to drive on the circuit. For those who are not that into cars, they can also engage in wellness activities, such as running and cycling. Sometimes, city life can become overwhelming and people may need a day-long getaway from the capital’s traffic and buzzing life. Zaya Nurai Island is the perfect place to relax on a private beach only a short boat ride away from the shores of Abu Dhabi. The island is home to its own luxury resort, where visitors can choose to stay the night or simply purchase a day pass. The resort has more than one beach and several pools, offering an ideal spot for people to relax. Everyone is well aware that the UAE is extremely hot during summer. These make most outdoor activities a bit of a nightmare during that time of the year. 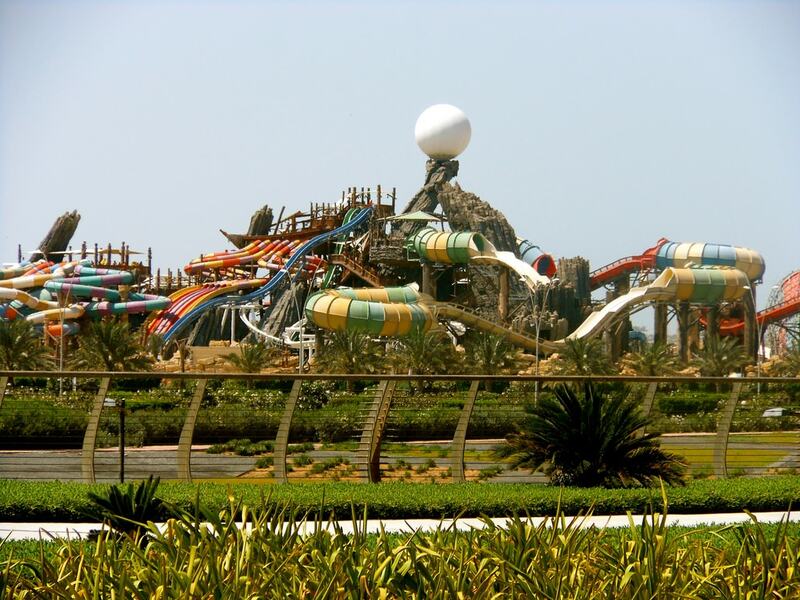 However, Abu Dhabi has a special place where people can get wet and feel refreshed any time of year: Yas Waterworld. With exciting rides for all ages and fantastic dining options, this is a great place for the entire family to spend the warmer days in Abu Dhabi. The UAE is best known worldwide for its deserts, with magnificent and endless dunes being present in most of the cities in the country. 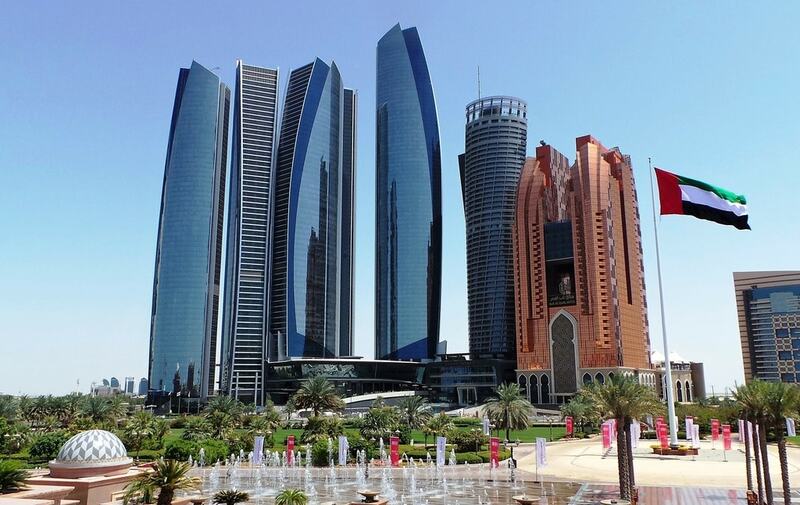 However, Abu Dhabi has a singular geography when compared to the other Emirates, seeing that the capital, in addition to the desert, also has mangroves. In these mangroves, visitors can rent kayaks and paddle through the beautiful backdrop of water and flora and get the opportunity to experience something unique. Etihad Towers are best known for being the epic backdrop for Fast and Furious 7. Although visitors cannot race sports cars in between towers, they do have an opportunity to go as high as the 74th floor in one of them, to the Observation Deck at 300. Here, people will get the best possible view of the capital, including some of the above landmarks seen from up high. This spot also offers high tea with delicious snacks and refreshments to accompany the view. One of the most exciting things to do when travelling is to attend a few amazing annual events. The great news is that Abu Dhabi has several concerts and music events happening all year round and du Arena is home to most of them. Being the biggest music venue in the city, this massive area has hosted the likes of Coldplay and Katy Perry, as well as other internationally renowned artists. It’s always a good idea to check out their schedule and try to get tickets when visiting Abu Dhabi. 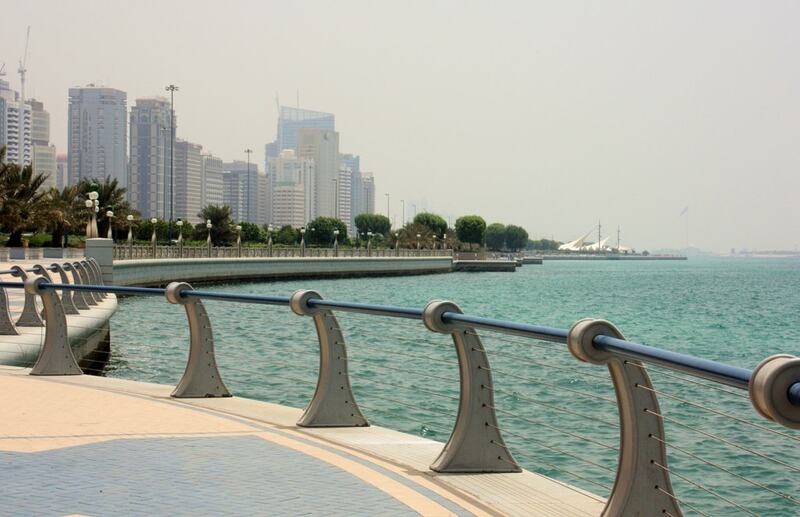 When in Abu Dhabi, a visit would not be complete without checking out the Corniche (or Corniche Road). This eight-kilometre road, which drives by the city’s public beach, is home to several charming restaurants and more. Yet, the main selling point of the Corniche is its gorgeous public beach. Split into family, single and public beaches, Corniche Beach caters to everyone’s needs, while providing both residents and visitors with a place to soak in some vitamin D.
This 235,000 square metre mall allows people to shop till they drop. The total area of the mall equals to the size of 44 football fields – guaranteeing shoppers with plenty of space and options for an epic shopping trip. Housing everything from designer stores to fast food, Marina Mall is the ideal place for those looking to go nuts when it comes to shopping, with over 400 retail and service outlets. Abu Dhabi has just recently added another epic attraction to its already long and fascinating itinerary. 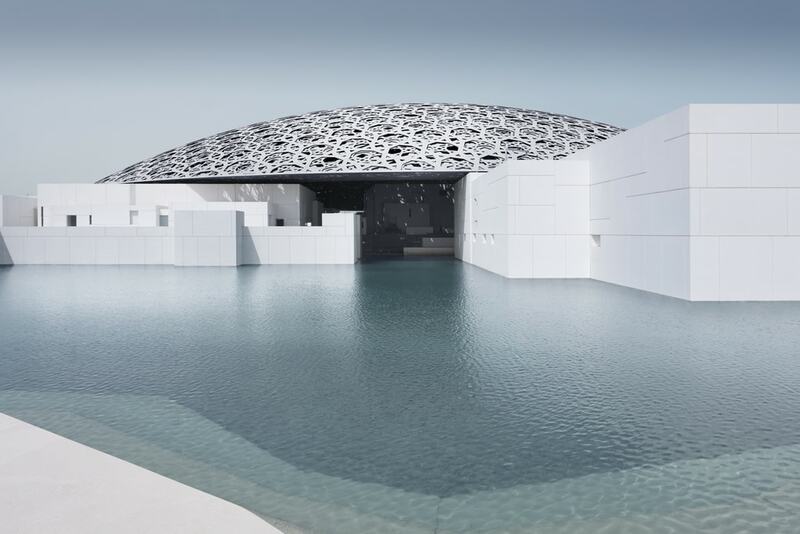 The Louvre Abu Dhabi recently opened its doors in late 2017, making the city an even more cultural and artistic place. With beautiful and awe-striking architecture, the structure of the Louvre itself is a work of art. However, it’s only a small detail when compared to all the art pieces the museum holds. Making waves internationally, this is a must-visit attraction for all art lovers. No one wants to visit a hospital while on holiday. Well, unless that visit is to the Abu Dhabi Falcon Hospital. This seems like an unlike place for tourists, but this hidden gem is actually one of the most popular tours in the city. Visitors are welcome to go on a tour of the hospital in order to better understand the connection in between falcons and Emirati culture. The hospital provides the best technology and health care for falcons from the region. It’s important to understand where the UAE started, in order to fully appreciate what the country is today. Qasr Al Hosn is one of the most vital attractions in the city because it is the symbolic birthplace of Abu Dhabi. The fort was built in the 1760s, making it the first permanent structure built in the city out of corals and sea stone. Qasr Al Hosn was also home to the royal Al Nahyan family for generations, increasing its importance in Emirati history. Sometimes, city life in Abu Dhabi can get a bit overwhelming. With traffic and crowds, the capital can be pulsing and non-stop. For those times, a little camping getaway can be necessary. 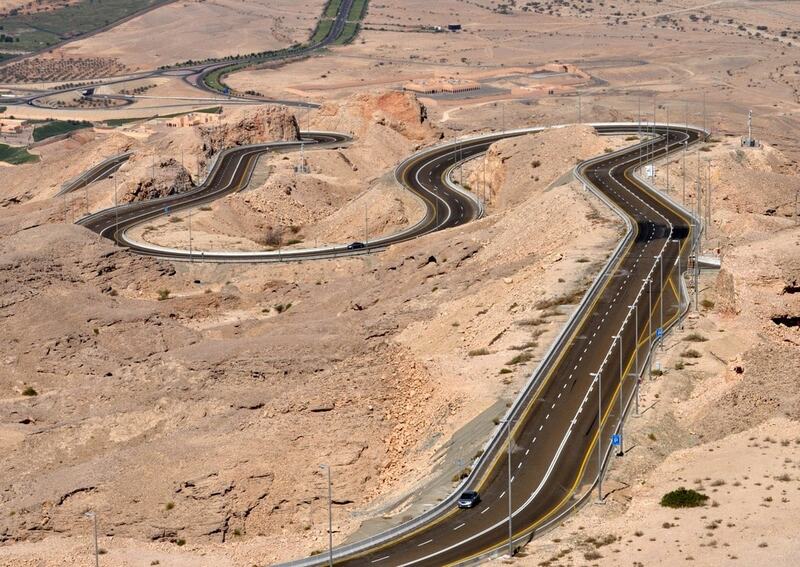 Jebel Hafeet is the highest point in Abu Dhabi, located in Al Ain, which is part of the capital. This is the perfect place to breathe in pure air, enjoy the mountain views and set up a tent, proving that Abu Dhabi’s natural attractions can be just as fascinating as its manmade ones.